We write on behalf of the Middle East Studies Association of North America (MESA) and its Committee on Academic Freedom as we note that your government has promulgated yet another emergency decree that has resulted in further purges of Turkish academics from your country’s institutions of higher education. The most recent of the emergency decrees, issued on 24 December 2017 [Kanun Hükmünde Kararname (KHK] 695], has resulted in the permanent removal of 2766 civil servants from their positions across the state bureaucracy, including a further one hundred five (105) academic personnel from thirty-six (36) public universities, and fifty (50) academic administrative personnel from twenty-four (24) universities. As we have noted in connection to all of your government’s emergency decrees that have purged academics and administrative personnel in this fashion, such measures represent a direct violation of academic freedom and of the right to education in Turkey. The affected academic personnel come from all ranks: from full professors to lecturers as well as academic staff in research and teaching positions. As with the earlier decrees, these actions also cancel the passports of the fired personnel and their spouses. All of those affected by the KHK 695, like those purged before them, were dismissed on allegations of being members of a terrorist organization or undermining the national security of the state. None were afforded any procedural rights or presented with any evidence to justify the allegations and dismissals, and no official charges have been brought. A second emergency decree, KHK 696, was also issued on 24 December, threatening to undermine public safety and the rights to protest, dissent and academic freedom. Under KHK 696, the government has effectively offered both civil and criminal immunity from liability to private citizens who engage in violence purportedly on counter-terrorism grounds or as a preventive measure against coup-plotting. The breadth of the language of the decree, together with ambiguity as to the timeframe it references, has given rise to widespread concern that this decree may act as blanket authorization for vigilantes, paramilitary groups and others to engage in violence against perceived government opponents with impunity. In particular, the language of the decree refers to “the attempted coup of 15 July 2016 and terrorist attacks and other actions that are their continuation,” which your government has described as being a reference to the events surrounding the attempted coup. The language used in the decree is, however, open-ended and could be interpreted as covering unspecified future developments if and when the government deems that expedient. Your government has deliberately stigmatized the many academics who have been purged on counter-terrorism and national security grounds without evidence or due process. Open threats of vigilante violence against academics—such as convicted crime boss Sedat Peker’s threat to “bathe in the blood” of academic peace petition signatories—is already a feature of the daily insecurity faced by those who have been purged and marked as alleged threats by your government. The emergency decree now risks further jeopardizing the safety of these academics, and all other purged civil servants, by incentivizing private violence with impunity against the perceived enemies of the state. Following the publication of KHK 696, these and other concerns about the climate of fear created by officially sanctioning vigilante and paramilitary violence have been voiced by a wide array of civil society actors and opposition politicians in Turkey. We write to record that we share these fears and to express our dismay at your government’s failure to adequately address criticisms of the decree or allay concerns that it will spur vigilante violence. We note with alarm both the erosion of the rule of law as a consequence of your government’s actions and the impunity from civil and criminal liability now provided by your government to vigilante groups and paramilitary forces. The dismissals devastating the lives of thousands of academics without any due process or evidence are a form of summary collective punishment. Moreover, the absence of legal safeguards has been compounded by measures that would allow the government to arbitrarily reassign academics to de facto internal exile should they manage, against all odds, to be reinstated to an academic position. The further addition of the threat of vigilante violence sanctioned by the government risks creating a climate of fear so intense that the torn fabric of Turkish civil society may take generations to recover. As with the eight earlier emergency decrees affecting higher education over the last sixteen months, we understand that these most recent decrees were issued under the authority provided by the state of emergency declared by President Recep Tayyip Erdoğan in the wake of the attempted coup of 15 July 2016. While we recognize that the attempted coup represented a threat to Turkish national security, mass firings of university faculty and staff and K-12 teachers across the country and creating the legal infrastructure for paramilitary forces to control civil society are far from constituting a legitimate line of defense. Instead, these measures suggest the continuation of a government campaign of intimidation, threats and attacks on all aspects of academic freedom and the right to education that began well before the attempted coup. The government appears set on pursuing a strategy that crushes the considerable intellectual wealth of the Turkish scholarly community and incentivizes those who have, for the time being, escaped arbitrary expulsion from their positions and careers to seek immediate opportunities outside of Turkey. The resulting brain drain will have catastrophic and long-lasting effects on current and future generations of Turkish scholars and students. Prior to the decrees of 24 December, an astonishing array of emergency measures had already targeted higher education in the country. Fifteen private universities were closed, their assets seized, and all of their academic personnel dismissed. All 1576 deans from all universities in Turkey were forced to resign, and an international travel ban—which has only been partially modified to give rectors control over travel authorizations for faculty—was imposed on all academics. This new decree brings the total number of academics purged to five thousand eight hundred seventy-seven (5877), not including those who lost their positions when their private universities were closed. 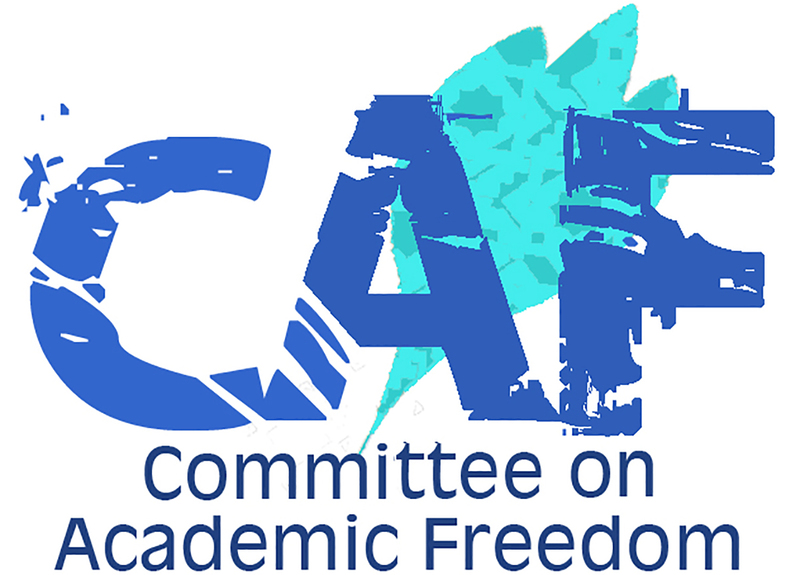 MESA’s Board of Directors issued a statement and a letter, on 21 July 2016 and on 19 August 2016 respectively, expressing our concern about these and other developments that have detrimentally affected Turkish academia, and the Committee on Academic Freedom has previously written letters on 6 September 2016, 10 October 2016, 7 November 2016, 14 December 2016, 21 December 2016, 12 January 2017, 8 February 2017, 5 May 2017, 19 May 2017, 20 June 2017, 31 July 2017, 13 September 2017, 25 September 2017, and 17 October, 2017. We respectfully ask that your government take immediate steps to reverse the dismissals decreed on 24 December, 25 August, 14 July, 29 April, 7 February and 6 January 2017, and 22 November, 29 October and 1 September 2016 and ensure that all of the investigations—disciplinary and criminal—that we have enumerated in our previous letters and Board statements be terminated or reversed. We also ask that your government restore the prior positions of all those who are reinstated and desist from reassigning faculty to any universities other than the ones at which they were employed prior to the purges. In the aftermath of the 16 April 2017 referendum, your government has an opportunity to restore confidence in its commitment to democratic rights and freedoms by taking steps to protect academic freedom, right to education, freedom of expression and freedom of association.